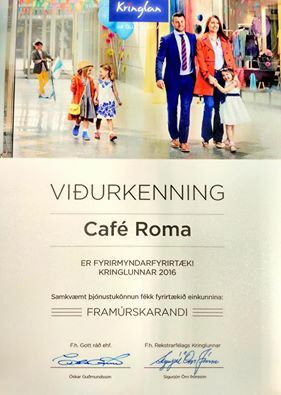 We are proud to announce that Café Roma got the Certificate of Excellence from Kringlan shopping center. Annually, a survey takes place where more then 150 businesses are taken under the microscope and go through a test, only the best obtain 100% and we achieved that. Our motto is service and dedication to our customers.